Entering the Chernobyl Power Plant today is a bit like time travel. Many aspects of the buildings look like they did 32 years ago. The garish patterned floor tiles, the plastic rotary dial telephones and the large dull concrete buildings all scream Soviet Union circa 1986. Given what happened there that year, it is little surprise though that much of the power plant is frozen in time. In the early hours of April 26th, an unauthorised test went very badly wrong. Reactor number four exploded, blowing the metal and concrete lid open. This unleashed a cloud of radiation 100 times that released in the Hiroshima and Nagasaki bombings combined into the atmosphere, which soon spread across Ukraine, Belarus and the wider USSR as well as Europe. Officially 31 people were killed at the time, but although there are no agreed statistics it is generally accepted that thousands more later died directly or indirectly as a result of exposure to the radioactivity. 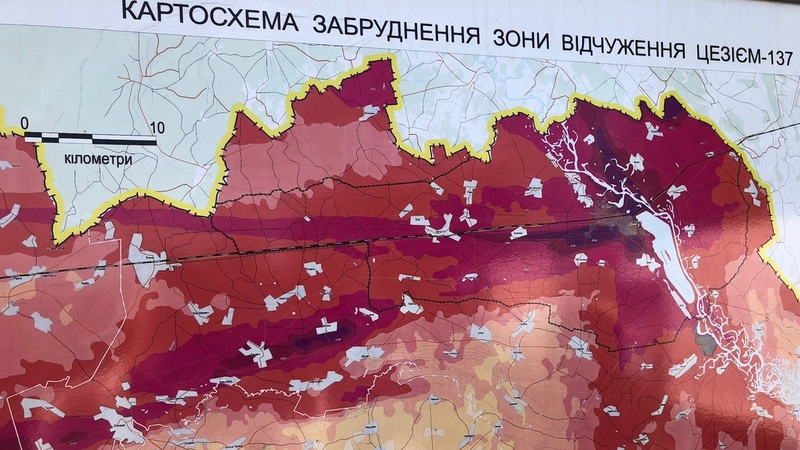 A 30km exclusion zone still surrounds the Chernobyl plant, with much of the land there still badly contaminated. It could be thousands of years before this area is clean enough to live on and farm again. But just thirty years on, it is not just the contaminated land that remains a threat to people of the region. The epicentre of the catastrophe itself is still a major concern. Reactor number four was encased in a hastily built concrete sarcophagus by thousands of brave "liquidators" in the immediate aftermath of the explosion, at great cost to the health of many. But that was never going to be a long-term solution. It was always foreseen that the casing would in time disintegrate as a result of exposure to the elements and because of the rapid manner in which it was put together. And so in 1997 an international agreement was reached on a Shelter Implementation Plan, with the now €2bn cost funded by contributions from dozens of countries including Ireland. It set out a step by step approach to address the immense challenges faced at Chernobyl. It laid down five safety objectives, but didn't prescribe how they should be achieved. Bit by bit the international community worked with Ukraine to plan out and commence 300 sub-projects, with the European Bank for Reconstruction and Development (EBRD) coordinating the financing. The biggest of these projects was the construction of a New Safe Confinement (NSC) building that would encase the old concrete sarcophagus and reactor, preventing its exposure to Mother Nature. But before that could happen a number of other substantial projects had to be completed. Among the most challenging was the stabilisation of the old concrete Sarcophagus - a dangerous operation that was necessary to stop its collapse. 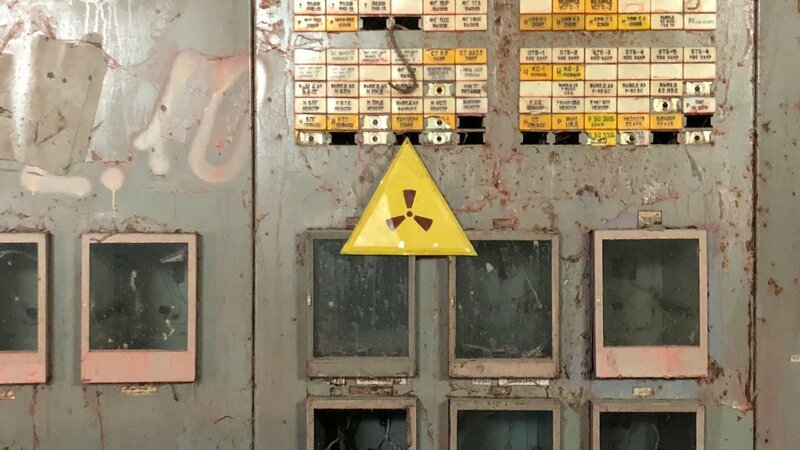 A radiation protection plan for workers coupled with a monitoring system had to be installed, the construction site decontaminated and infrastructure put in place. With those elements all ready work on the NSC started in 2010. A unique problem requires a unique solution and the structure was certainly unprecedented. 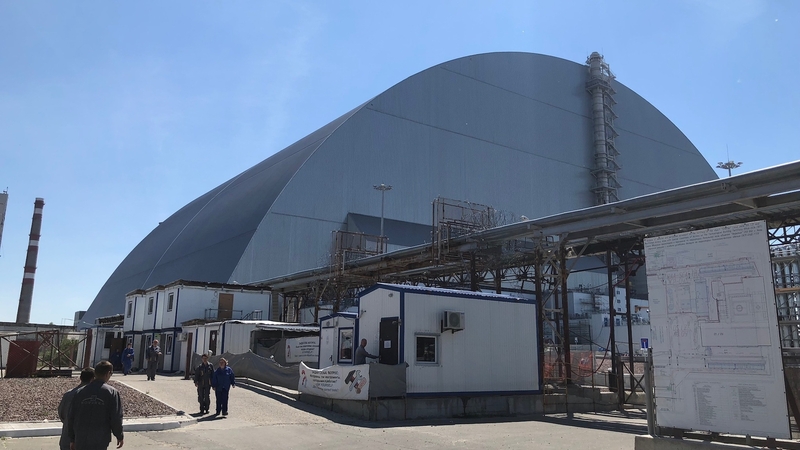 "In the land of superlatives it is the world's largest movable land based object, built in the largest ever cooperation of international safety, it is probably built in one of the world's most contaminated places," said Simon Evans, Head of the Chernobyl Shelter Fund at the EBRD. "So it is an amazing project in terms of the complexities we have had to deal with at every single layer of it." The size of two Croke Parks, the arched building was put together in two sections on a site over 300m away from the reactor building. Together they consist of a 25,000 tonne frame, 500,000 specially manufactured bolts and 20,000m3 of concrete foundations. 86,000m2 of metal cladding was put over the frame, equivalent in size to 12 football pitches. It took 1,500 workers five years to build the cavernous structures and join the two parts. Then, over 2016 and 2017, the completed object was slid on tracks, inch by inch, over the top of the reactor, gradually sealing it off from the outside world. When we visited, the internal systems were still being installed. After receiving a thorough safety briefing, donning protective clothes and receiving our radiation dosimeters, we traversed multiple layers of tight security before entering the NSC. It's gargantuan size is hard to fathom or describe. So too is the feeling that comes with standing so close to the remains of a manmade reactor which has caused such a loss of life as well as misery, devastation and ill health for countless others left behind. 5,000 tonnes of sand, lead and boric acid was dropped onto the reactor in the days and weeks following the accident, to quench fires and dampen contamination. That's is now mixed with 200 tonnes of highly toxic uranium in the core, creating some massively dangerous radioactive hotspots. To enable 360 video functionality on mobile, click on the YouTube logo to launch the app. "For instance there are some real highly radiated areas, what we call black V, up on the top where the arch comes into contact with the object shelter," said Nick Abraimuck, Head Field Engineer with the Project Management Unit. Once the ventilation system that is designed to keep contamination inside rather than letting it out is complete and the other systems commissioned, the building will be handed over to the Ukrainian authorities. Then the next challenge begins. 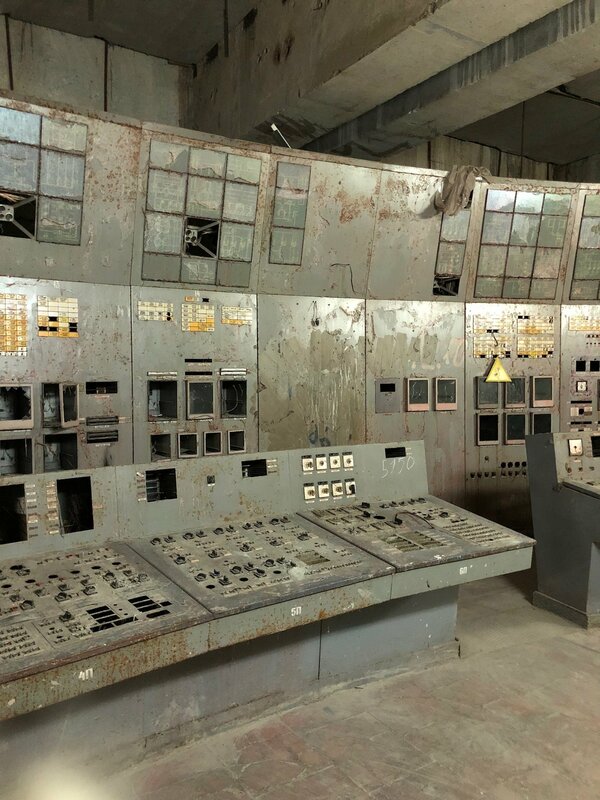 It will involve working out a way of dismantling the concrete sarcophagus and reactor building and disposing of the radioactive materials safely. "That really represents an immense challenge to deal with that because that is the most lethal inventory of all," Simon Evans said. Two remotely controlled cranes have been installed in the roof of the NSC to help with this task, so humans do not have to be inside when the radioactive levels inevitably rocket as the old structure is disturbed. "That's the whole objective and that's why these cranes are one of the most important tools in this arch," said Nick Abraimuck. 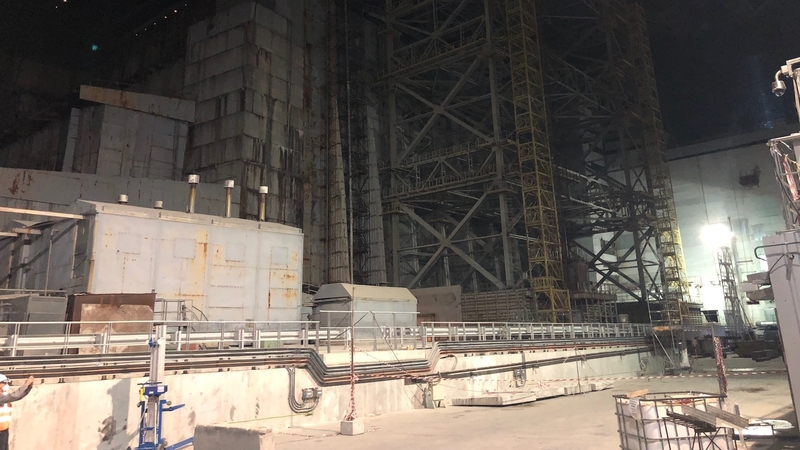 That process will take a very long time to complete and it remains a matter of debate whether or not the contents of the reactor core should ever be removed or just capped and left to become safe where it lies over thousands of years. The NSC is designed to last at least 100 years, but nobody knows if that will be long enough to get the job done. 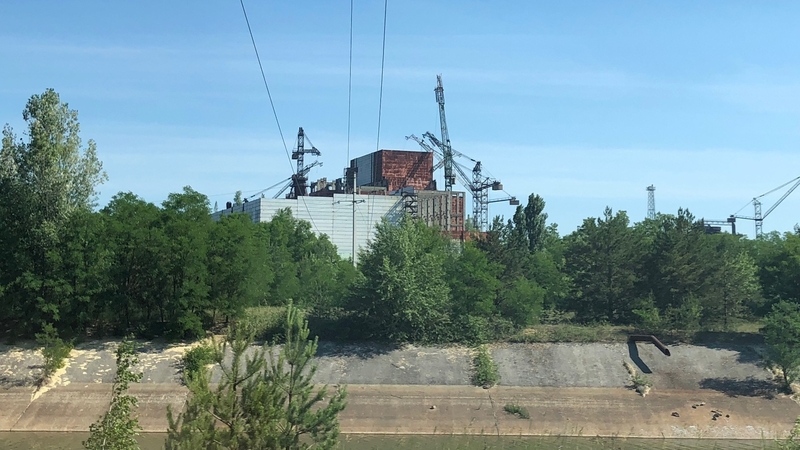 Because more than three decades on from the accident, the physical and financial legacy of Chernobyl is still not fully understood. This report was supported by the Simon Cumbers Media Fund.